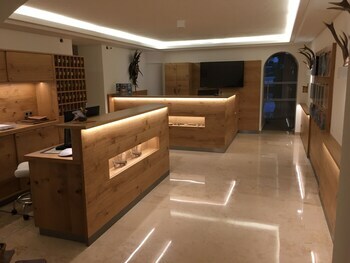 Located in Strobl (Salzburg-Umgebung District), Hotel Stroblerhof is within a 15-minute drive of Michael Pacher-Haus and Pilgrimage Church of St. Wolfgang. Featured amenities include complimentary newspapers in the lobby and luggage storage. Free self parking is available onsite. When you stay at Hotel Möderle in Sankt Leonhard im Pitztal, you'll be near ski lifts and 6 minutes by car from Church of the Holy Abbot Leonhard. Free self parking is available onsite.